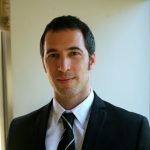 Dr. Yossi Harpaz is a Lecturer (tenure track) in Sociology at Tel-Aviv University. Harpaz earned his Ph.D. in Sociology from Princeton University in 2016. Harpaz’s research interests include citizenship, globalization, nationalism and migration. He focuses on exploring the consequences of the global shift towards the acceptance of dual citizenship. To that end, he analyzes qualitative and quantitative data from multiple sources, including administrative statistics, demographic data and in-depth interviews. Harpaz’s work has been published in International Migration Review, Journal of Ethnic and Migration Studies and other venues. He has co-edited (with Pablo Mateos) a special issue in the Journal of Ethnic and Migration Studies which explores the rise of strategic and instrumental forms of citizenship. His book manuscript, Compensatory Citizenship: Dual Nationality and the Rise of the Sovereign Citizen, is currently under review at a leading university press. Harpaz is a recipient of IMISCOE’s Maria Baganha Dissertation Award. He has won numerous awards, including the Charlotte Elizabeth Procter Honorific Fellowship at Princeton University and the Rector’s Award for Excellence in Teaching at Tel-Aviv University.